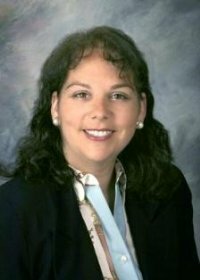 Today I am spotlighting author Marlayne Giron. I first became aware of this author when I entered a giveaway for her first book The Victor. At that time she kept saying she was a one book author. I wondered how anyone with her talent could only write one book. I am happy to tell you that she has gone on to write more. She has graciously donated a signed copy of her book Make a Wish. This is a wonderful book. If you go to her Make a Wish Blog Site you can see how this came about. When she asked me to promote the wish fulfillment stories to my students I thought that it would give them the opportunity to see how a writer works. Instead I ended up telling her a wish of my own. I miss the times my older sister and I would spend talking by phone, visiting and crafting together. She passed away three years ago. When I told Marlayne that I wish I could have just one more day with her she turned my wish into a story in which I was able to do just that. Her stories have a healing effect. I really can't say enough good things about this book. I am hoping there will be a book two. I know for a fact that she has been working on a paranormal Amish Fiction book called In Plain Sight. If you click here you can view the trailer to it. I've had the privilege of reading and editing this book and can't wait until I can post my review of it. Until then all I can say is this is one author you need to keep your eyes on. 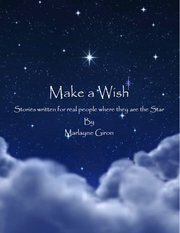 I will be giving away one autographed copy of Make A Wish so sign up for your chance to win. There are no strings attached and you don't have to follow me, although I'm always looking for more followers. It is NOT a requirement. Enjoy your blog hopping and good luck!